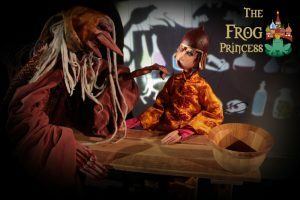 Based on a Russian fairy tale, The Frog Princess is an epic musical full of adventure, suspense, romance, and humor. 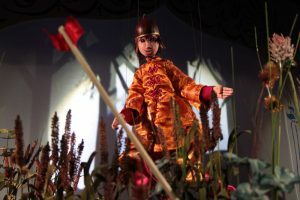 The show features a wide variety of puppetry styles, including marionettes, shadow puppets, and table top puppets. 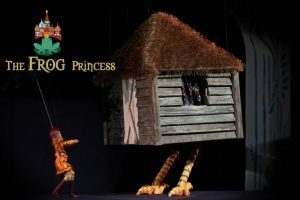 With music and songs by Molly Ledford (of the band Lunch Money), and featuring the voices of Darion McCloud, Bonita Peeples, Kevin Bush, and Stefanie Santana, this is one of CMT’s most unique productions ! 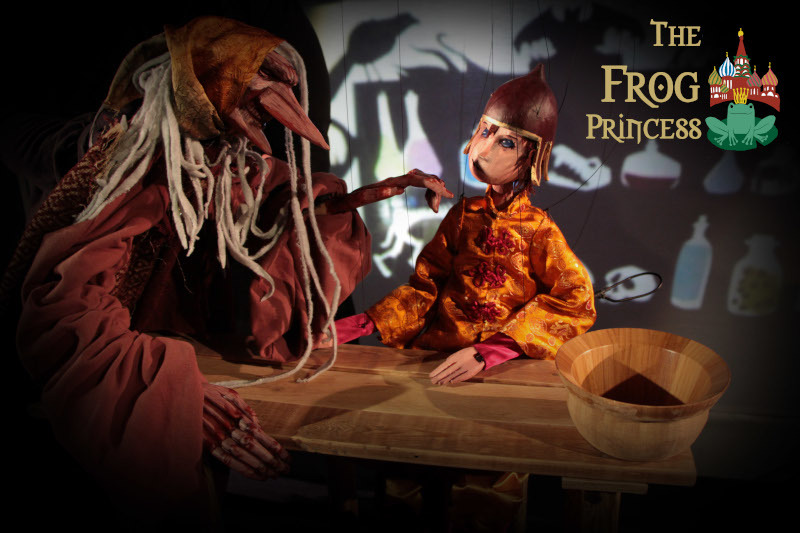 The Frog Princess is the story of Vasilisa, a young woman under a spell by the evil Koschei the Intolerable. She is forced to wear a frog skin for three years. When she meets the kind Prince Ivan in a swamp, she risks everything to reveal her true self to him. Koschei finds out and she is whisked away to a land that time forgot. Prince Ivan must go on a quest to find her, encountering strange characters and making a few animal friends along the way.